Sleight of Hand will be one of the most important skills for any would be thieves or ne’er do wells, though this should be obvious. Picking pockets, manipulating complex devices, anything requiring nimble fingers will come down to this skill right here. The reverse pickpocket as well, an important skill for planting false evidence or keeping yourself out of trouble, is one that very good thieves will use to great effect. The mileage of this skill very much depends on you as a player. The D&D game is chock full of opportunities to use it even without the Dungeon Master trying to find new ways to make it come into play. Try picking a pocket during melee combat (which would generally be an Action /but/ would be a bonus action for the Thief archetype). This is one of those skills that will see much much more play than some of the others, especially lore skills. Stealth – Sleight of Hand lets you hide objects on your person or to use your hands in such a way as to not be noticed. This slightly overlaps with Stealth. Just remember that if you’re trying to be sneaky with more than just your hands, it’s Stealth. Thieves’ tools – One of the most common mistakes I see players or DMs commit is using Sleight of Hand instead of Thieve’s Tools for picking locks or disabling traps. Remember that both of these require thieves’ tools rather than a skill roll. 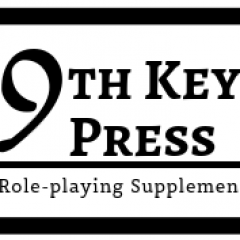 There might be a special circumstance in which a puzzle lock or a complex manipulation is required to open a door or to stop a trap and the DM might call for a Sleight of Hand check in this circumstance, but these are DM exceptions and not the rule. I won’t provide new ways to use this skill or specific examples of use for inspiration, as with Stealth this is one of those skills that you might find yourself wanting to limit rather than cultivate – though I don’t recommend you do so. Thief characters are at their best when they get to use these abilities for their fun so the only advice I will give is to be prepared when a thief starts wanting to lift from pockets. Getting caught or not, it is a real easy way to give them an adventure hook that could change your campaign drastically. As an example, in my Al-Qadim game my wife was playing a halfling thief/rogue. While the party was gambling in a seedy coffee house on the docks, she decided to try and steal from one of the NPCs gambling – the one that seemed to be doing the best. Little did she know this was a Djinn in disguise. She lifted a starnge crystal out of his pocket that magically trapped her inside of itself. Long story short, the Djinn put a geas upon her to find a particular magical item somewhere in the Crowded Seas to the south, and she had 101 days to do so or suffer eternal torment. Thus my campaign kicked off into a rousing many-session arc of seafaring adventure involving vanishing islands, talking animals, underwater palaces, awe-inspiring rocs, and a crab god all because she wanted to steal a few coins. That’s it for today’s post. We’re quickly coming to the end of this series and I have a few plans in the work to keep this blog as weekly as possible. Next week we’l be covering Stealth, which I actually believe might prove to be a complex one considering how hoary the Stealth rules are in D&D 5th edition. We’ll be drawing from both the PHB as well as Jeremy Crawford’s twitter for that one. Until then, happy gaming!